Grayston Lynch, the son of an oil driller, was born in Victoria, Texas. He joined the United States Army during the Second World War and was wounded during the D-Day landings and the Battle of the Bulge. After the war he served in the Korean War and in 1950 he was a member of the Special Forces in Laos. 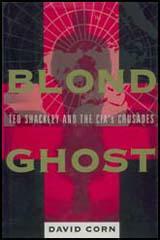 In 1960 Grayston Lynch joined the Central Intelligence Agency and served under Theodore Shackley. 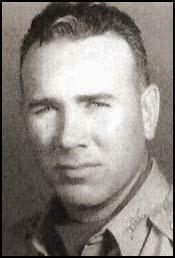 He took part in the Bay of Pigs operation and along with Rip Robertson went ashore with the first wave of Cuban exiles. Grayston Lynch, who was interviewed by Seymour Hersh for his book, The Dark Side of Camelot, blamed John F. Kennedy for the failure to overthrow Fidel Castro. Lynch was also involved in Operation Mongoose and by 1963 was paramilitary trainer at JM/WAVE. According to David Corn (Blond Ghost), Lynch "ran his own outfit of exile raiders". In 1971 Grayston Lynch retired from the CIA and became a federal drug agent. In his work he encountered narcotics traffickers who had previously worked with the agency. Lynch admitted that "a lot of drug smugglers learned their skills" at JM/WAVE under Theodore Shackley. In a letter sent to John R. Tunheim in 1994, Bradley E. Ayers claimed that nine people based at JM/WAVE "have intimate operational knowledge of the circumstances surrounding the assassination" of John F. Kennedy. Ayers named Grayston Lynch, Theodore Shackley, Felix Rodriguez, Thomas Clines, Gordon Campbell, David Morales, Rip Robertson, Edward Roderick and Tony Sforza as the men who had this information. In 2000 Grayston Lynch published Decision for Disaster: Betrayal at the Bay of Pigs. 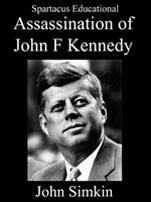 It included the following passage: "Kennedy not only failed to stand up to Castro, or to Khrushchev, but he would not stand up to his own State Department, and pliantly approved request after request from State to water down the invasion plan. The cancellation of the only remaining air strike against Castro's jets, a cancellation that doomed the 2506 Brigade, cost the lives of many good men, and one year later was to bring the world to the brink of nuclear war... The failure in 1961 was just that, a failure. But not a total failure, for it did accomplish for the New Frontier a solution to one of its problems. It got rid of the 2506 Brigade. Their 'dumping' into Cuba was flawless!" The failure in 1961 was just that, a failure. But not a total failure, for it did accomplish for the New Frontier a solution to one of its problems. It got rid of the 2506 Brigade. Their 'dumping' into Cuba was flawless! Unconventional warfare was Grayston Lynch's profession. An oil driller's son from the tiny town of Victoria in South Texas, 'Gray' had enlisted in the Army at fifteen by lying about his age.... When he retired as captain in 1960, to join the CIA with a six-month contract at ten thousand a year, the transition was 'practically no change at all'; he had just returned from Laos where he had operated in unfriendly territory wearing civilian clothes. I make reference to your letter of February 23d and my subsequent communications with your staff in preparation for our meeting which is scheduled for 10.00 CDT this morning. I appreciate the opportunity to visit with you concerning matters relating to the assassination of President Kennedy and your appointment as a member of the board that will oversee the release of documents pertaining thereto. Over the past several months I have furnished your staff with details of my background and other materials which I trust have provided you with some perspective for the information I hope to personally convey. Assuming you have read or been briefed on the essence of this history, I will not dwell upon it here. However, I take this opportunity to convey copies of two documents which I recently received that relate directly to our discussion of this date. They are self-explanatory.With the context of our meeting hopefully established, I wish to call your attention to the following specifics which I urge you and the Board to be alert for and to pursue within the framework of your mandate. These areas of interest and individual identifications are recommended as adf.rect result of my experience with the CIA/JMWAVE Miami station during the period immediately preceding and following the death of JFK and my synthesis of other information developed since that experience.I believe the following living individuals have intimate operational knowledge of the circumstances surrounding the assassination and the possible role of the persons and/or operations listed in the paragraph which follows:Theodore Shackley - Chief of Station, JMWAVE Robert Wall - Deputy Chief of Operations, JMWAVEGrayson Lynch - Contract paramilitary trainer/agent, JMWAVEFelix Rodriguez - Contract paramilitary agent (Cuban born), JMWAVEThomas Clines - CIA paramilitary case officer, JMWAVE Above named persons with reference to:Gordon Campbell (current status unknown) - Deputy Chief of Station, JMWAVEDavid Morales (deceased) - Chief of Operations, JMWAVE"Rip" Robertson (deceased) - Contract paramilitary agent JMWAVEEdward Roderick (current status unknown) - U. S. Army Major, explosives expert/Corp of Engineers, attached to JMWAVE and later CIA employee upon retirement from ArmyTony Sforza (deceased) - Contract paramilitary agent, JMWAVEOperation (code name) "Red Cross" - JMWAVE, Fall 1963Further, I invite your attention to the forthcoming issue of Vanity Fair Magazine (October issue) which I am advised will contain an article by Tony Summers, a highly credible journalist/author (CONSPIRACY) that will offer certain revelations complimenting the recommendations made in this communication.I know for a fact that Summers has been diligently pursuing lines of inquiry that may be relevant to the work of the Board and may be useful in unscrambling and evaluating the JFK related documents produced by the CIA and other government agencies.I hope the information I've provided is helpful to the Board and I remain prepared to testify under oath to any aspect of my activities should that be desired. The purpose of this memo is to give you background on who Brad Ayers is and the story he tells. His story is accepted to differing degrees, depending on who one talks to, but the basics of his story check out, according to our research. Ayers was an infantry officer in the U.S. Army during the early 1960's, specializing in paramilitary training. In early 1963, (records checks indicate it was in early April) Ayers was "loaned" by the Army to the CIA, which assigned him to the JMWAVE station. Ayers' job was to train Cuban exiles and prepare them for an invasion of Cuba. This much of his story is borne out by checks of his military and CIA files.From here, the veracity of Ayers' claims are less easy to discern. He claims to have seen many figures at JMWAVE who were not there, according to the official record; these include Johnny Roselli and William Harvey (former Task Force W /SAS chief for CIA, who was removed from that position by Kennedy after Harvey overstepped his authority after the Missile Crisis). Ayers also claims to have gone on several raiding missions with his proteges, and to have come under fire from Castro's forces in the summer of 1963. This is significant because according to the official record, all government sanctioned action against Castro had ceased by that point.Ayers says that many of his colleagues at the JMWAVE station built up a strong resentment of President Kennedy, and says that he believes several of them to have played roles in the assassination. Foremost among these, he says, was David Morales, the operations officer for CIA in Miami.The HSCA interviewed Ayers, and performed searches for his records. In doing so, they discovered five sealed envelopes in his file, which HSCA staff was not allowed access to. The envelopes have ben the source of some speculation among those in the research community who believe Ayers' story.On May 12, I interviewed Ayers at his home outside of St. Paul, Minnesota. At that point, the questions were based on information obtained from open sources only, as few of the staff had their clearances yet.